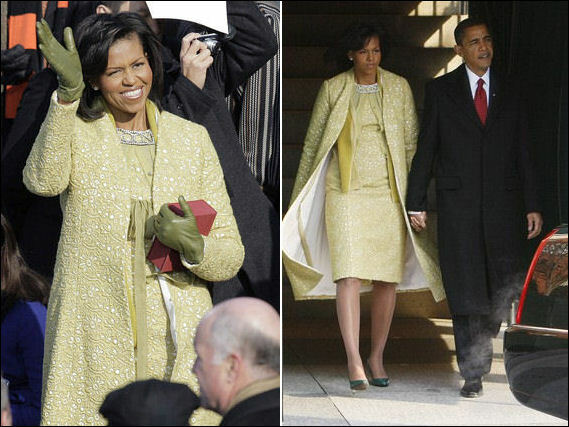 Barack Obama may have become President yesterday, but all eyes were on the new First Lady and her fashion. Michelle Obama wears an Isabel Toledo lemongrass wool lace sheath and coat, J.Crew gloves, and patent green Jimmy Choo shoes during the inauguration ceremony. 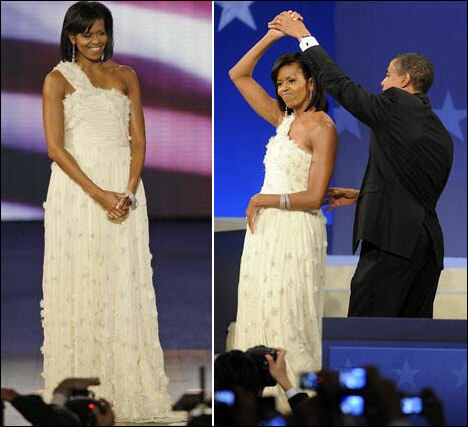 The First Lady dances the night away at one of ten inaugural balls in a one-shoulder white chiffon Jason Wu gown, which will be donated to the Smithsonian. 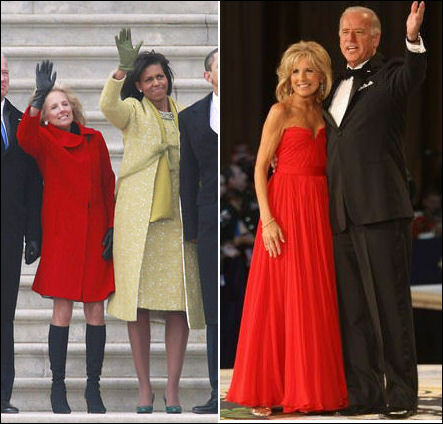 Second Lady Jill Biden opted for red for day and night. At the swearing in, she wore a Fluerette coat, a short Milly dress and tall black boots. Biden looked radiant in a strapless Reem Acra gown at the ball. First daughters Malia, 10, and Sasha,7, wore J. Crew ensembles that were specially designed for them.